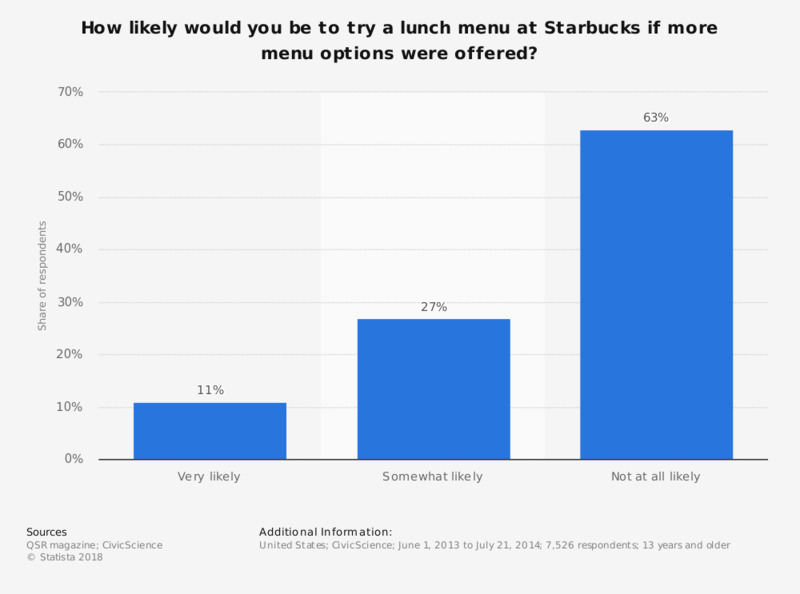 This statistic shows the likelihood of consumers to try a lunch menu at Starbucks if more menu options were offered in the United States in 2014. During the survey, 27 percent of respondents said they were somewhat likely to try a lunch menu at Starbucks if the chain offered more options. In 2015, the revenue of Starbucks was 19.16 billion U.S. dollars. Percentages do not add up to 100 due to rounding.